Two Montgomery County men were arrested late Sunday evening after leading deputies on a car chase that began in Washington C.H. and ended in the Village of Leesburg. At 11:11 p.m. Sunday, Fayette County Sheriff’s Office Deputy Adam Rummer made a traffic stop on Temple Street near North Main Street in Washington C.H. after observing traffic violations, according to Sheriff Vernon Stanforth. The driver of the 2007 Lincoln MK4 was identified as Richard C. Armstrong, 32, of Dayton. During the traffic stop, a clear plastic baggie was observed in the passenger door of the vehicle, according to Rummer. The passenger in the vehicle was identified as Jerry L. Walther, 57, of Dayton. Rummer said that while attempting to retrieve the baggie, Armstrong put the vehicle into drive and fled at a high rate of speed with Rummer and other sheriff’s deputies giving chase on Eyman Park Drive toward the Lakeview Avenue area. During the chase, Rummer said he saw items discarded from the vehicle. The pursuit continued to the center of town and went west on Court Street and onto Leesburg Avenue before turning onto the U.S. 35 West access road. The Washington C.H. Police Department assisted during the chase until the suspect vehicle departed the city limits. The vehicle continued to U.S. 22 West and went westbound before abruptly turning to an eastbound direction, said Stanforth. This caused the suspect vehicle and a sheriff’s cruiser to run into each other, causing minor damage to both vehicles. However, the pursuit continued with the suspect vehicle crossing the U.S. 35 East access road before turning south on U.S. 62 toward the Village of Staunton. 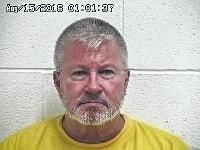 The chase continued south on U.S. 62 and entered Highland County where members of the Highland County Sheriff’s Office, the Leesburg Police Department, and Ohio State Highway Patrol were set up with “stop sticks,” according to Stanforth. The stop sticks caused the vehicle to come to a stop on State Route 28 and U.S. 62 in the Village of Leesburg, where Armstrong and Walther were both taken into custody. During inventory of the vehicle, additional substances “presumptively identified as cocaine, heroin and clonazepam tablets were recovered,” Stanforth said. The vehicle, registered to Walther, was impounded by the sheriff’s office. 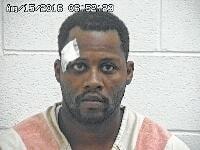 Walther was charged with drug abuse (felony five), tampering with evidence, (felony three), and drug abuse (misdemeanor one). Armstrong was charged with failure to comply with the signal/order of the police officer (felony three), tampering with evidence (felony three), drug abuse (felony five), drug abuse (misdemeanor one), and driving under suspension. Both were taken to the Fayette County Jail where they were incarcerated in lieu of bond.